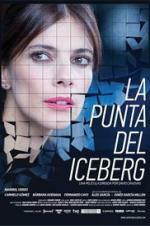 Buy or Rent La punta del iceberg (2016) Movie DVD & BluRay Online! Movie Plot: A large multinational company is shaken by the suicide of three employees. The company sends a directive, Sofia Cuevas, to conduct an internal investigation. She discovers an unhealthy work environment: a pathogenic form of management where the individual is relegated to a minor role and only priority is the bottom line. But, what are the real reasons that lead a man to suicide in his job?